It’s been decades since android been introduced to the world. In these decades near about 1 billion android application are created to make your android experience richer. To get these applications, we don’t just have to rely upon Google play store. 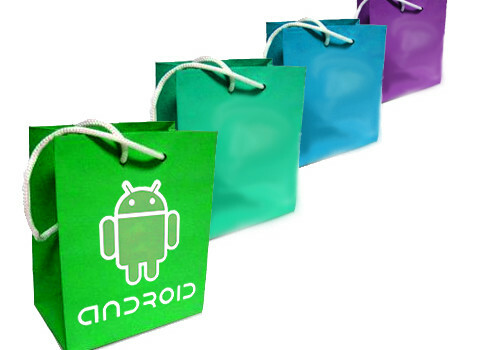 There are more than just Google play store to offer you applications. Application developers are trying their best to provide you with best. To get started with something out of the box, there are best alternatives to app stores which provide not just applications but a lot more features too. 9apps is one of the most popular and loved app megastore to download the application in your device. This mall full of applications allows you to download an application from various genres ranging from action to entertainment. With well categorized and dictated application comes the user-friendly interface which makes navigation through the application smooth. Rather than just providing large applications, unlike other app stores, all the applications on the 9apps are absolutely free. The best thing about 9apps is that which enables its users to download applications in apk format, which does not eat up many spaces in your devices to make room for more applications. Unlike other app stores, it does not ask its users to fulfil any android criterion. No matter what version of android you are on, it will not prompt any alerts. To make it more user friendly. it has a language support of more than 7 regional languages. Including , Hindi , Telegu , kannada any more. Also, check Download VidMate app for Android! Mobogenie is an app store with more sophisticated outlook. With the Widest range of applications comes an interface with artificial intelligence, it sorts out few of the best applications which fulfill your desire when you look up onto an application. It does not only provide excess to download applications but tends to perform a lot more feature rather than just downloading. It has a super cool feature, which has not been noticed before, which is you can maintain your contact book as well. As large applications take an eternity to download as well costs you a lot of data charges but with mobogenie, everything is cost friendly and with lightning speed. All the applications listed mobogenie are absolutely free and comes absolutely bug –free. So you are getting everything safe and faster than any other alternative. To give your downloading experience a sophisticated outlook, mobogenie can prove to be one of the best alternatives for app stores. Nowadays. Previous What’s the Difference between Public and Private APIs?